The WPL's Dulles Sportsplex Aegean Hawks FC advanced in the USASA Region I Open Cup tournament this past Sunday April 6th, by cruising to a 3-1 victory over Oak Avalon (Pennsylvania-West Champs) on goals by David Rosenbaum, Scott Larrabee, and Gui Fonseca. WPL teams are eligible to participate through USASA affiliation in two national cups offered by the USASA - the US Open Cup, and the US Amateur Cup. Entrants to the regional tournaments are comprised of the various state champions across Region I which spans Maine down to Virginia. 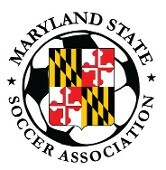 The Hawks have qualified for Region I tournaments in both the Open Cup & Amateur Cup this year, and will next face the Pennsylvania-East Amateur Cup champions, Vereinigung Erzgebirge, this coming Sunday at the Maryland Soccerplex, Field #18 (2:30 KO) in a US Amateur Cup Region I Quarterfinal match. USASA Region I champions in both the Amateur & Open Cup will qualify for both the USASA National Finals held this year in Salt Lake City, Utah in July, as well as the 1st Round of the 2015 Lamar Hunt US Open Cup. Congratulations to the Hawks as representatives of the high caliber of play within the WPL and wish them luck in their quest for a regional trophy in both Cups!